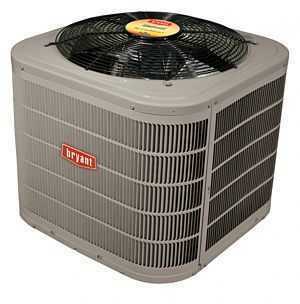 We install and repair Bryant air conditioners, AprilAire humidifiers and SpaceGard air cleaners. Are you experiencing any of these common AC issues? Whether you need air conditioning repair or help with cleaning or humidifying the air for your home or business, contact us or call (608) 845-9353. Why YOU may need an Air Conditioning Tune-Up! "Dale’s technician was very professional and fixed the A/C problem at our home. My wife and I are very thankful for the service." "I have asthma and leave the a/c fan running 24/7. The motor burned out! I called Dale’s Heating & air cond. Brian Olson came out, replaced the motor for a VERY reasonable cost. He was SUPER professional. Told all occupants of our townhouse complex to use Dales. About a month later, I ran into a separate problem over the weekend. Called Brian to get him sched’d to come out early the next week. He knows I’m handy & gave me the fix over the phone & didn’t charge me a cent. Brian, his company, his service are truly worth a call if your heating & AC unit runs into trouble." "I highly recommend Dale’s heating and A/C. My A/C died on a Tuesday and Brian came out the same day I called, diagnosed the problem and presented me with my options. I needed a new a/c compressor, but Brian very patiently explained to me that I also had the option to upgrade to a stronger compressor and cooling coil. Not only did Brian fix my A/C but in the end I have a unit that performs much better for the size of my home. Brian at Dale’s is a very knowledgeable, fair, honest, kind serviceman." 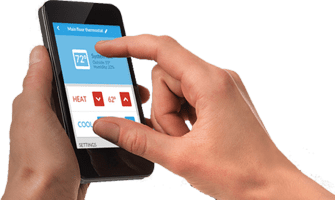 Page Summary: Dales Heating & Air Conditioning offers air conditioning, air conditioner repair, central air and cooling system. Products & Services such as hvac unit, air conditioning installation, air conditioner installation as well as new air conditioner are also part of the scope of our business. We also specialize in hvac contractor, hvac company in Stoughton, Mt Horeb, Verona as well as DeForest. Other areas we serve include Sun Prairie, Middleton, Madison and Cross Plains. We also service Waunakee, Oregon WI and beyond.